We’ve taught computers to do many things. We’ve researched how to teach them to identify cats, spot fraudulent charges, even categorize cucumbers. But what can we apply in our daily lives that computers have taught us? That is the premise of the book called Algorithms to Live By. Which of the advances in computer science can be applied to laundry, choosing an executive assistant, picking the best strategic plan and optimizing your schedule? One of the hardest challenges in hiring someone to fill a role is knowing when to stop looking, when to declare that the current best candidate is very likely the most perfect fit. After all, we never have full information. We never know who else might apply for the role, or perfect references. There’s a simple rule that a computer scientist proved mathematically. You should choose the next best candidate after completing 37% of the search. It sounds crazy, almost too simplistic, but the math bears that out, assuming certain conditions. There’s also a chapter on how to choose the best among a group of options. In the world of computer science, it’s called the multi-arm bandit problem. A one armed bandit is a nickname for slot machine, and this branch of research has to do with how to pick among a group of slot machines. Do you pick the one that you’ve played on for a while, or a new one, and when do you switch? In a management team meeting, the same dynamic is a play when debating continuing with the current strategy or migrating to a new one. When is the right time to switch? When do you have enough information? And how do you pick among a group of options? In short, it’s all about figuring out which option has the greatest upside. Algorithms to Live By has changed the way I think about investing in startups and advising them. 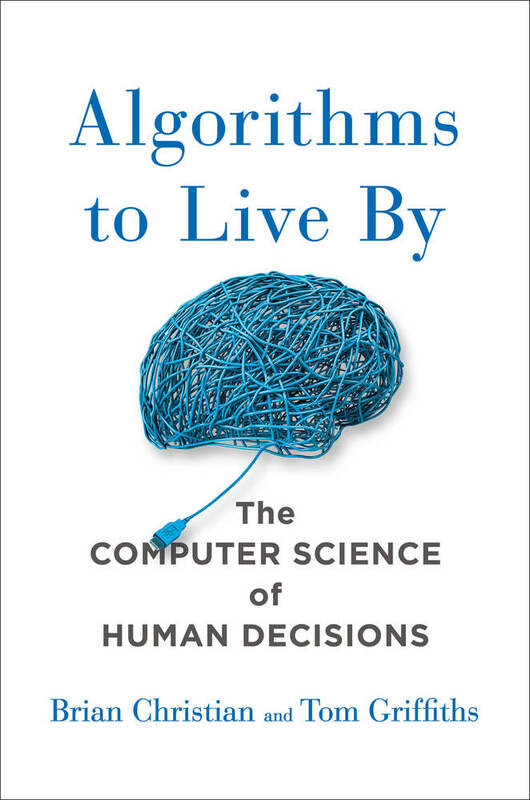 The book provides a framework for thinking through difficult decisions, the kinds of questions we’ve asked computers to solve for decades. There’s a lot we can learn from all of their hard work.